What size is your filter? When you were a kid, did your mom and teachers tell you that if you didn’t have anything nice to say, don’t say anything at all? Do you think this is a lost art? Is this a concept you stress in your classroom? Is this concept outdated? If so, what has caused this shift in thought? For those of you who don’t emphasize this, do you feel it is a lack of time that caused this to happen? It seems like more and more is added to a teacher’s plate every year and something has to give. Is it these types of life-lessons that gets pushed aside? For those of you who do teach lessons about this topic, do you find it has long term benefits to the overall climate of your class’ dynamics? Is the investment of time worth it? Although it shouldn’t be, I am continually surprised at the comments I read when I’m online. I think pinners forget that those pins are about real people who are going to read their comments. I often wonder if these people behave the same way in real life or if this is a Dr. Jekyll – Mr. Hyde thing? After reading several of these types of comments, my husband and I had an interesting debate. My question was “Do these people filter what they think in real life or does this only happen in cyberspace?” My husband thinks that people feel anonymous when they are behind a computer screen so they drop their guard. I think that might be part of it. But, I also think that through the internet, you come in contact with more people. The more people you come in contact with, the greater the chances are that you experience this. After reading a few of these comments and hearing other sellers’ experiences, I thought this has the makings of a great lesson! Remember the show The Golden Girls? Estelle Getty was the poster child for speaking your mind. The show is not child friendly and I wouldn’t recommend you showing a clip to your class, but keep her in mind when you are thinking about this lesson. Although I love this saying, I do think you can take it too far, also. Balance is the key. Students need to be taught how to find the balance. When is their opinion needed? How should they give their opinion? Think about your job . . . remember when Parent A voiced an opinion using the correct words with the correct tone of voice and you “heard” what Parent A had to say. Now remember when Parent B came in with guns blazing (figuratively speaking of course) telling about the same type of problems but this parent used an accusatory tone. Did you “hear” Parent B? The skills of Parent A are the ones that need to be taught. Show your class examples of filters and colanders with different sizes of holes. Explain to your class that we need to filter our words before we say them. 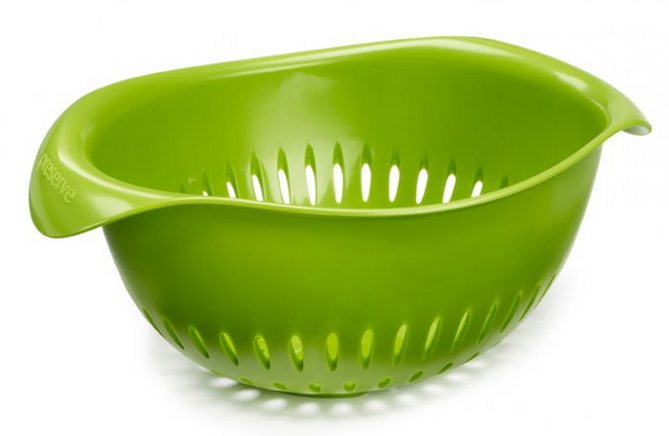 Some people have a filter with large holes like a colander. These people blurt out whatever they think without thinking how those words might affect others. Ask your students what the long term effect might be if you have a colander with large holes? (Answers: very few friends, arguments with other students, tattling, and no one to play with at recess) Others have refined the skill to an art so their filter is like a coffee filter. These people choose their words carefully. When they do give an opinion, they choose the right time, use the correct tone, and use the correct words so the other person can “hear” the message. 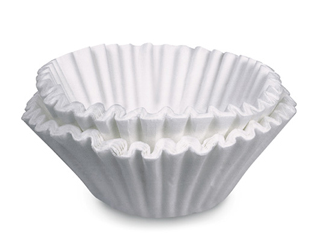 What is the long term effect of having a filter like a coffee filter? (Answer: friends, someone to play with at recess, happiness). A new boy has joined your class. His family recently moved here from another country. He speaks with an accent. Wrong way: You talk funny. Right way: Where did you live before you moved here? Did you speak a different language? That’s great! Can you teach me a few words? Jake just got his first pair of glasses. He is nervous about going to school because he thinks the other students will make fun of him. Wrong way: I’m glad I have good eyesight because those glasses make you look dumb! Right way: Hi Jake! Cool glasses! My friend has some like those. He told me that his grades improved after he got them. *As a general rule, if you don’t have anything nice to say, don’t say anything at all. *If you think you need to express an opinion ask yourself, is it constructive? Will it help your friend? *When you do need to express your opinion, the timing, your tone, and words you use are very important. *Would you like it if someone said that to you? Hopefully, with a few lessons your class will be on their way to developing the fine art of tact. On September 30th, I asked teachers who follow my Facebook page for their insight on this topic. Go check out what they said. Click on the picture below to find great freebies. That saying is so embedded in my brain and it is because my parents always reminded me to live by it. I say it all the time to my own children and to the children I teach. We should always be aware of the words that we speak because they can never be taken back. It's what is said and how it makes you feel that can not be forgotten. I love the chart. Thank you. Hey Michelle – this is brilliant! Wow, such an important lesson . . . and HOW many times did I hear that when I was a kid? Thanks for resurrecting an old-fashioned ideal that'll NEVER go out of style!